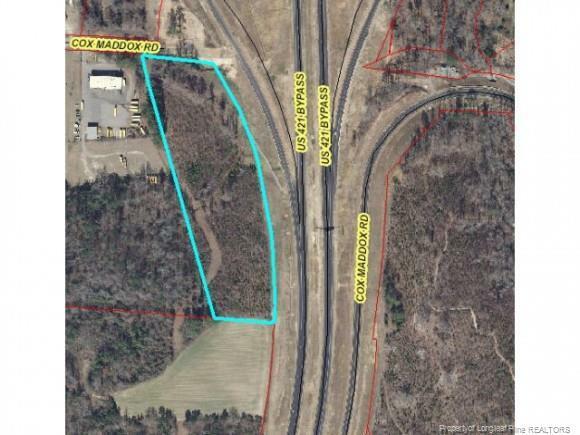 7.9 acres of vacant land with Hwy 421 By Pass Visibility. Zoned for mobile homes or small lots. Water and Sewer on site. Access on Cox Maddox Rd at Wal Mart entrance.